In January 1958 Danny Kessler, a rhythm & blues talent scout best known as the first man to record Johnny Ray for OKEH Records in 1951, was in New Orleans recording a couple of little known artists when he heard something he liked better. "There was piano all over the place! 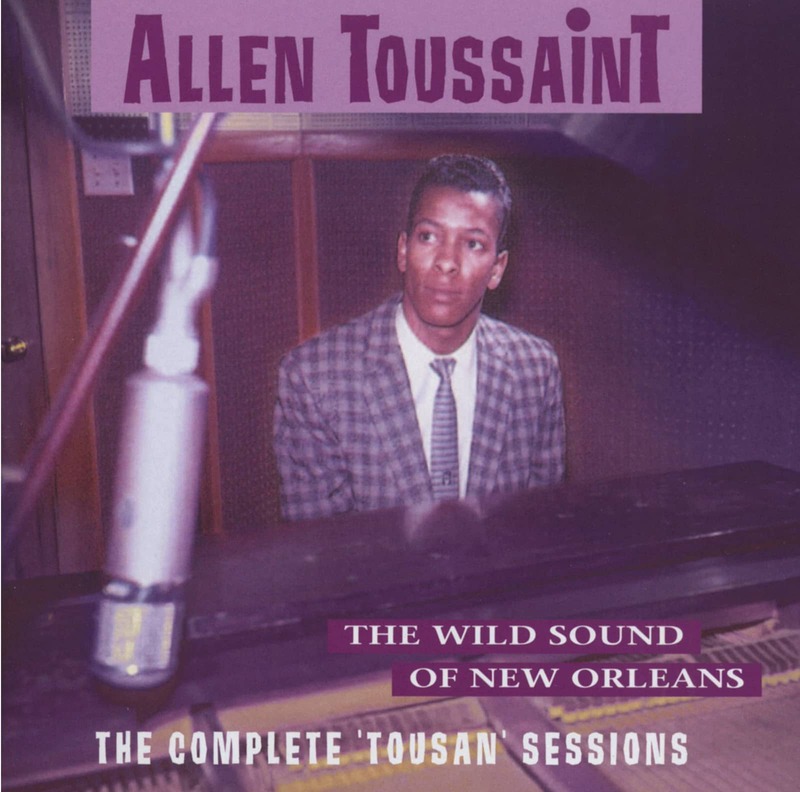 ," recalls Allen Toussaint. "As I played on the recordings Danny Kessler would say, 'Turn the piano up' - crankin' the piano up. I mean, you could hear very little vocal and very little everything but the piano. And after that day he came and said, `Could you prepare some things to record?' I said, 'Yes.' I think they came back the next week and we did the albumin one day. I guess it was six hours. We came up with some things in the studio, like 'Whirlaway.' "
Toussaint's discovery has been said to be part of a grand-scale audition of raw talent, but he recalls it strictly as a ses-sion. "During those days talent scouts used to come through town and they' d consult Cosimo Matassa, (the studio owner and recording engineer), "`cause he knew more about where everyone was." Kessler would only record the noted Houston guitarist Roy Gaines and Roland Cook, the bandleader and bass player for Shirley & Lee's band for RCA's Vik susidiary (the latter's record would be released under his nickname 'Cookie' - not to be confused with the Jennings, Louisiana singer Huey Thierry of Cookie & the Cup Cakes). Allen Toussaint was a close associate of Roland Cook, having played with him in both Earl King's band and on a 1957 national tour with Shirley & Lee -both times replacing Huey 'Piano' Smith, who found his own fame in 1957 with Rockin' Pneumonia. "They needed a song for Roland Cook and they asked me to write it. That's how `Long Lost Love' (Toussaint's first recorded song) come about... I played on Roy Gaines' session also. Mac Rebennack and I been on many ses-sions together as teenagers. So I was very comfortable in the studio." Toussaint's largely self-taught musi-cal knowledge was vast. "(As a child) I started mimicking everyone that I heard on the radio, every kind of music, because, being young and naive, I thought that everyone that played music could play everything that was musical." The musically precocious teenager could play every-thing from waltzes to polkas, from Bach to his 'Bach of Rock,' Professor Longhair. Before his first `professional' jobs he had also played in the teenage band the Flamingos with guitarist Snooks Eagl in. 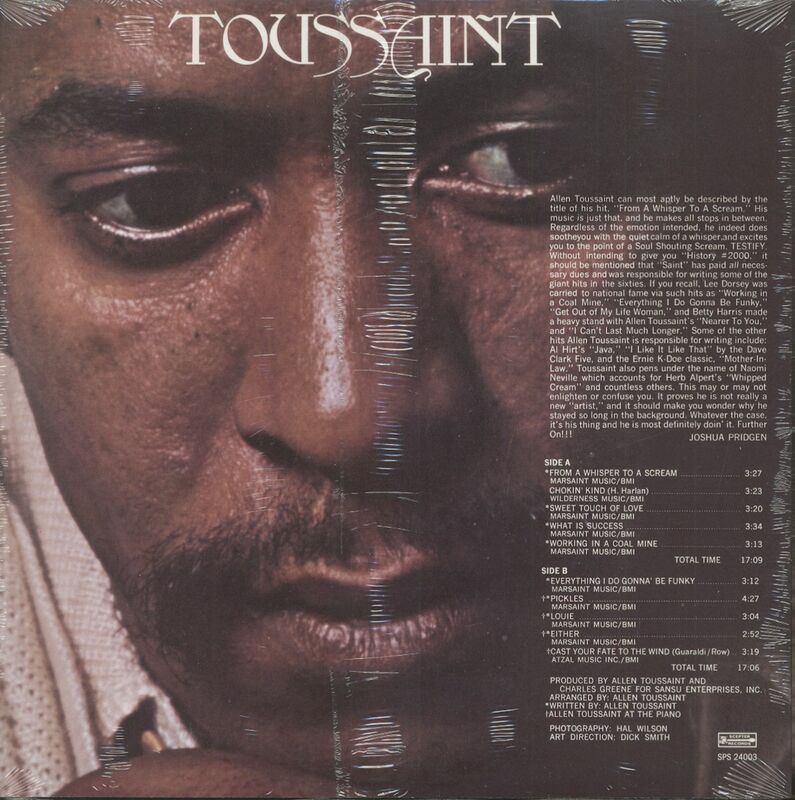 Toussaint admits he didn't take care of the business end of music in his early years - though that problem was the rule for R&B artists in the fifties. After he made the RCA recordings they quickly got out of his hands. Song titles and even his name were dubbed by music moguls in New York. The songwriting credits were divided be-tween Toussaint, his co-arranger, Alvin 'Red' Tyler, and someone named 'Marilyn Schach' on the album. Later, when Java became a hit by Al Hirt, the latter name was changed to `Joe Friday' to protect the guilty, and even then it would take a lawyer's dragnet to reel in Toussaint's reduced share of the wayward royalities. It was also apparently due to his contracts for the RCA/Seville recordings that Allen Toussaint was forced to write under his mother's name 'Naomi Neville' in the early six-ties. 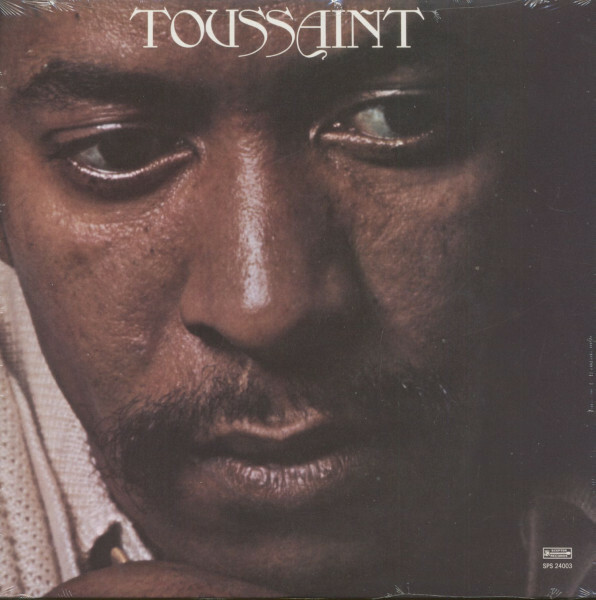 Still, Toussaint puts a positive light on the album. "It sold fairly well. It wasn't a giant success or anything, however, it really put me on the map in many places that didn't know about me before then, like I would get fan mail from New Zealand, Iceland, all kind of places like that; I don't know why. And I would get fan mailfromvarious places in the country here in America. It did better everywhere else but here in New Orleans." After recording the single Happy Times and Whirlaway, the remainder of the album was recorded in February 1958. "There was some collaboration between Red Tyler and myself which was really terrific," recalls Toussaint. "He was really good at puttin' things together in the studio. He knew how the studio and recordings functioned so much better that I did at the time." "When I first saw Allen he'd come and sit at the piano and played a little bit," remembers Tyler. "The forerunners (studio musicians) were there before Allen Toussaint came on the scene ... He knew from past experience we'd go in the studio and I would say, 'Hey, let's do this,' and kind of orchestrate the head arrangement. So he felt that I would be an asset, because he was really young." "We sat at the piano," says Toussaint. "He was standin' right over my shoulder and would go, 'What about this Allen Toussaint?' Red Tyler was on every-thing (on baritone). The saxophonists switched betweet Nat Perrilliat and Lee Allen (on tenor) ... There never was any music written out at that time, not yet. We'd all just go by memory." Toussaint also cites the sax duet Bono and Nashua as songs with major con-tributions by Tyler, who plays the growling baritone solo on Pelican Parade. Whirlaway features a half-fretted guitar scrubbing like a Dixieland banjo. "It can only be Justin Adams or Roy Montrell," says Allen. Whirlaway (like Nashua, Tim Tam and Pelican Parade) has the piano signatures of Professor Longhair, though it is a Toussaint/New Orleans standard in its own right. "There's a lot of Professor Lonhair all through there," says Allen. would have a problem with T-o-u-s-s-a-i-n-t, so he shortened the name down." The original 'Wild Sounds Of New Orleans' liner notes seem almost prophetic: "Kessler, whose string of tickets on also-rans make him a virtual proprietor of the neighboring Fair Grounds, has picked a winner at last with Tousan."